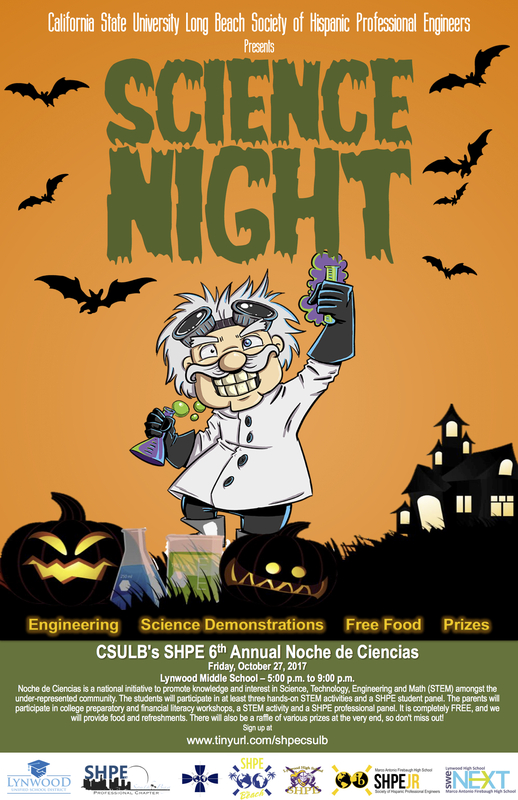 Come volunteer for CSULB SHPE’s 5th Annual Noche de Ciencias. 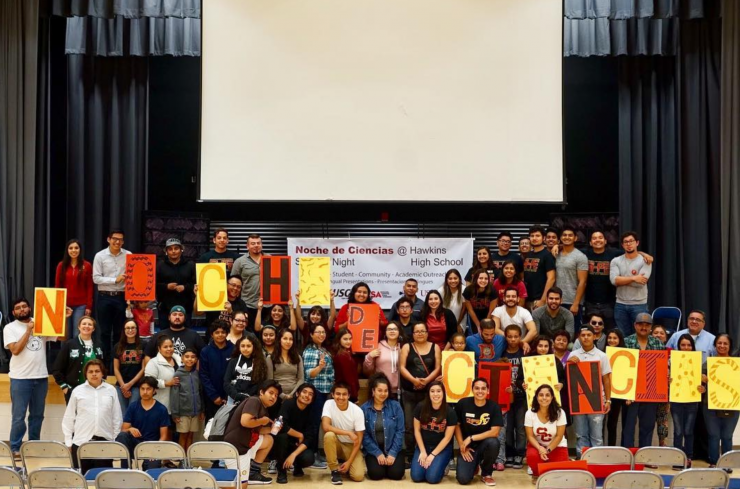 This year our Noche will be held at Lynwood High School on Friday, October 27, from 5:00pm-9:00pm. Any help would be greatly appreciated!